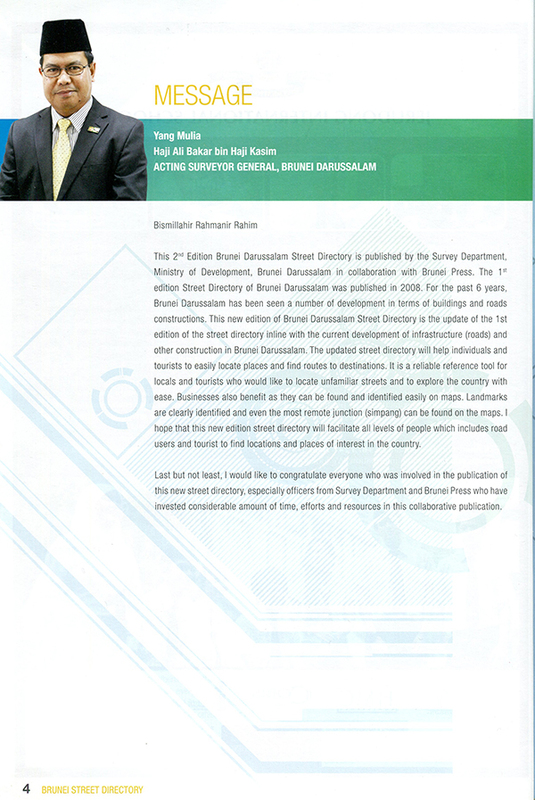 This new edition of Brunei Darussalam Street Directory is the update of the 1st edition of the street directory inline with the current development of infrastructure (road) and other construction in Brunei Darussalam. 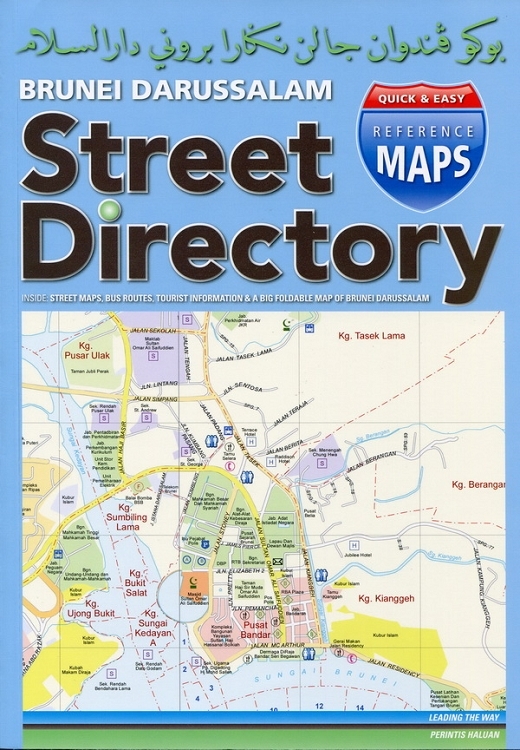 The update street directory will help individuals and tourists who would like to locate unfamiliar streets and to explore the country with ease. Businesses also benefit as they can be found and identified easily on maps. 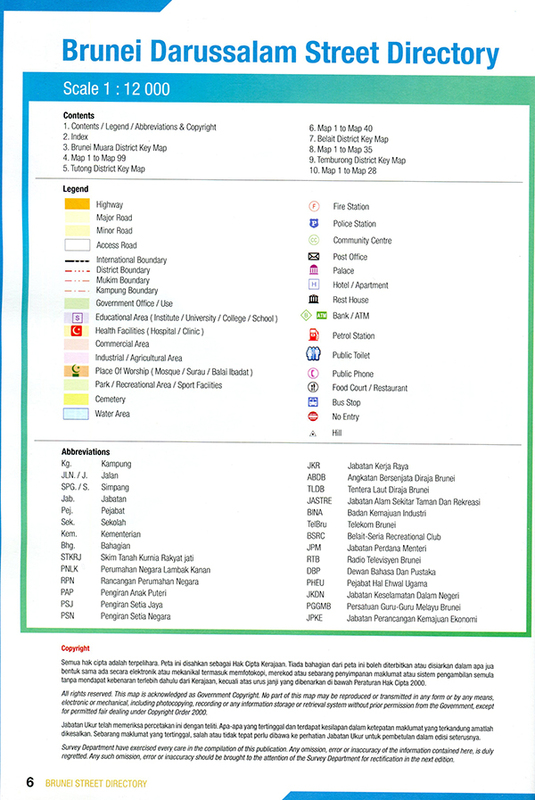 Landmarks are clearly indentified and even the most remote junction (simpang) can be found on the maps. 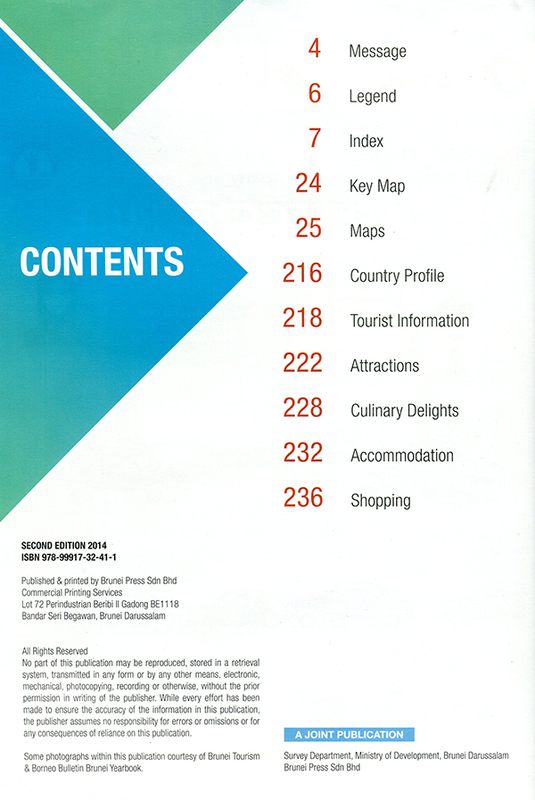 This book includes: street maps, bus routes, tourist information and a big foldable map of Brunei Darussalam.